We know that when it comes to your business, you’re the expert. That’s why our business coaching services revolve around our relationship with you. By sitting down for a one-on-one discussion, we can identify opportunities for increased profitability and efficiency, pinpoint tax-saving strategies to keep your business moving in the right direction, and help you manage the growing pains of your business. In today’s business environment, the future of your business depends on your willingness and ability to adapt to change, without losing sight of your goals. As your trusted tax and business advisors, we use the challenges you identify as our starting point to help navigate you through the cross roads of development and implementation. Producing strategies is one of our specialties that will effectively drive you through the complicated business world so that you can arrive successfully at your intended destination. We like to think of it as the chauffer model. You tell us where you want to go, and we’ll help drive you there. Help you identify the critical issues affecting your organization. Question the assumptions on which strategies are based. 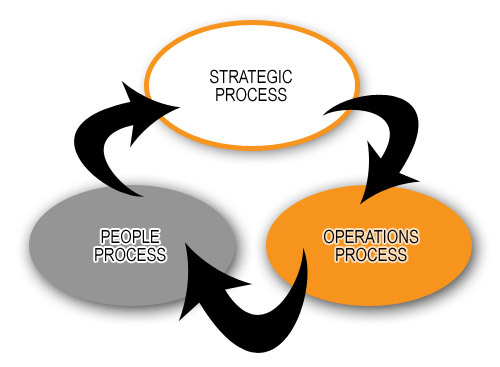 Determine organizational capability to execute strong strategies in order to achieve your desired objectives. The understanding and analysis of the three processes inherent in every organization is essential to providing clarity and definition to the issues your business has or will encounter. Our SWAT analysis guides you through the process of assessing your Market, your Competition and Yourself. The workshop is designed to provide clarity specific to your business. Without clarity, your issues will prevent you from capitalizing on new opportunities or may even erode your company from within. Our goal is to help you understand the inter-dependent relationship of operations, people and strategies; ultimately demonstrating how the effective execution of a strong plan will define the destination of your business, rather than letting the winds of change toss it to and fro. As we progress through the workshop, we will help you develop a strategic intent; which is similar to a mission statement that other organizations use but with vision and direction. Your strategic intent will lead to the creation of your high-level, three to five year strategic objectives. Once you have determined your strategic objectives, our SWAT team will help you develop the annual, quarterly, and monthly operating priorities that will drive your company towards it goals. Let our SWAT Team help take your business to the next level of success.